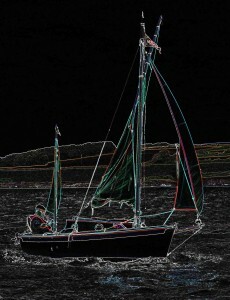 A lug-sailed ketch, Fleur is sixteen and-a-half feet length on deck and six feet in the beam. With a GRP hull, she was built by Alan Channel in Poole in 1988. 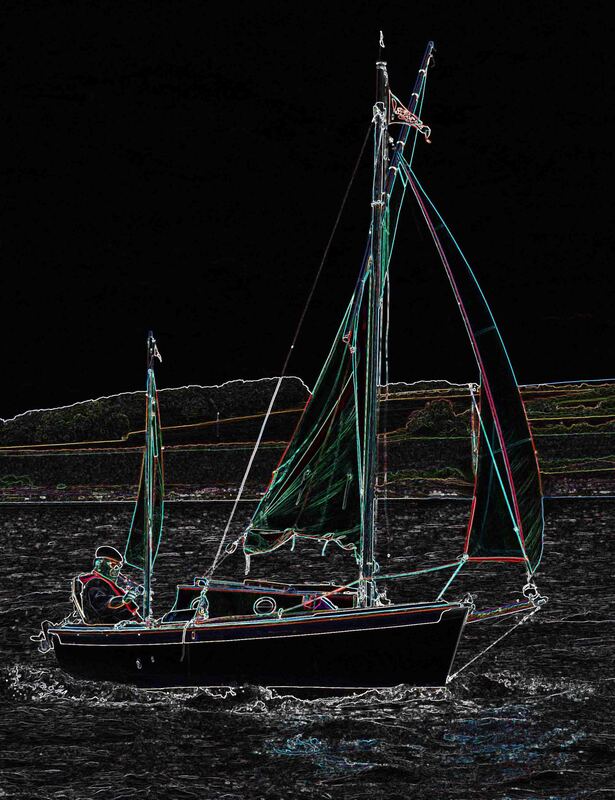 She has red sails and a loose-footed main and can catch anyone’s eye. The bowsprit at the front and bumpkin astern stretches her to twenty-one feet overall. But it isn’t size that makes a boat, it’s her spirit, her pluck if you will. 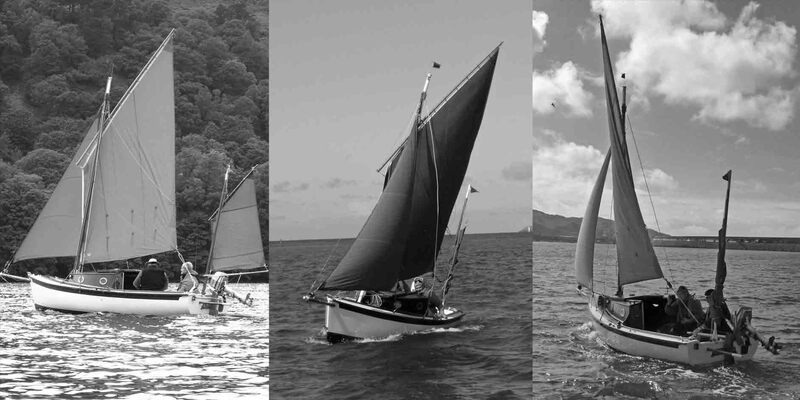 I have owned Fleur for more than ten years and have yet to doubt her, even though we have sailed many estuaries, lakes and coasts together as well as her home waters of the Bristol Channel. She is for me, the very essence of sailing. Fleur is a regular attender at Old Gaffers Association trailer-sailing events around the country. Together, we have been to the Lake District- Ulswater and Derwentwater, Chichester, Clywedog in mid-Wales, Holyhead, Milford Haven, Cardiff Bay and the Bristol Channel. And there are more to come methinks!